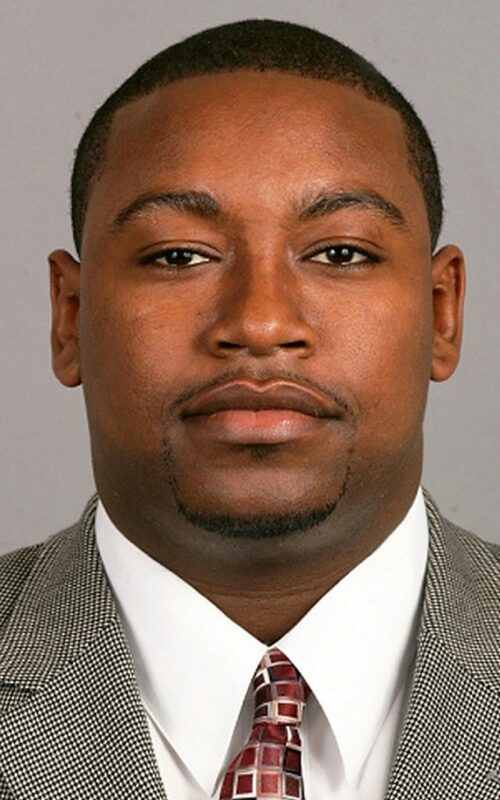 New football coach Malik Hall hopes to improve the Bobcats' standing in the NESCAC. Malik Hall’s enthusiasm was evident when he spoke on the phone at the Bates College football alumni golf tournament at Wentworth by the Sea Country Club in Rye, New Hampshire, on Monday. Monday was Hall’s first official day as Bates’ head football coach – the school announced his hiring early in the afternoon – and getting to know the alumni at the annual golf tournament was his first piece of business. Fein said that several candidates were interviewed during the hiring process, but Hall quickly stood out, and it was for more than his football acumen. Bates is Hall’s first head coaching job. He comes to the Bobcats from the University of Pennsylvania, where he was the defensive line coach. Hall grew up in Detroit and started his college playing career as a defensive lineman at Vermilion Community College in northern Minnesota, then transferred to the University of Massachusetts for his final two years. His plan was to be a school teacher, and for six months after college he taught kindergarten in Pontiac, Michigan. Coach Tom Masella invited Hall to join the coaching staff at Central Connecticut State in 2004 as the defensive line coach. That was followed by stints at Hofstra, Fordham, Wagner two times and a return to his alma mater, UMass in 2011. At Wagner, he served as the defensive coordinator and linebackers coach. 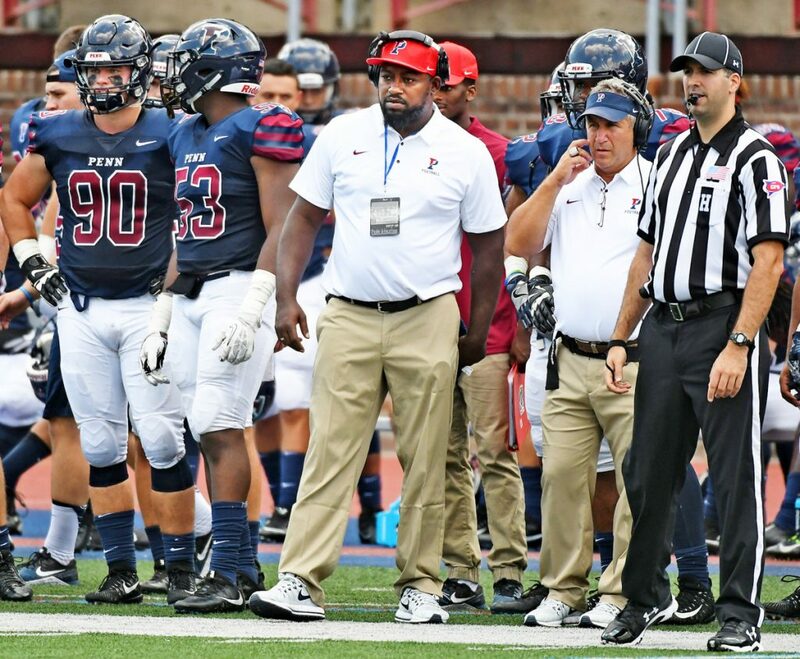 He joined the staff at Penn for the 2015 season, and helped the Quakers win back-to-back Ivy League titles in 2015 and 2016. At Bates, Hall is replacing Mark Harriman, who was also a defensive-minded assistant plucked from the Ivy League (Harvard) in 1998. Hall not only has to replace Harriman’s 20 years of experience, but he also has only a few months to get ready for the upcoming season. Hall realizes that turnaround isn’t ideal, but he is unfazed. It helps, he said, that three Bates assistant coaches – Skip Capone, Tino Lopes and Tyler Cottle – have kept the program running through the time while the school was looking for the next head coach. Hall said Capone, Lopes and Cottle exemplify the type of people he wants the Bates’ football program to be made up of. Hall will be in Lewiston on Tuesday and will instantly get to work, he said, “taking inventory,” and getting to know the Bates football program. He plans for the Bobcats to play a 3-4 defense that brings timely pressure that keeps the opposing offense on guard. Hall was more tight-lipped about his plans for the offense side of the ball. Hall and his wife, Ayesha, have three children. They’re excited to return to New England after the positive experiences he had as a coach and a player at UMass. Fein said that he’s looking forward to Sept. 15 when the Bobcats’ new coach leads the team onto the Garcelon Field in new uniforms for Bates’ first game of 2018 against Amherst. Hall has already been educated about the importance of the Colby-Bates-Bowdoin rivalry, which Harriman’s Bobcats dominated recently, with four straight titles. Hall and Fein emphasized that their objective is the complete student-athlete experience, both on and off the field. And they also hope to improve Bates’ standing in the NESCAC. The Bobcats have averaged 3.1 wins per season this decade.